The five sheaths of the Self are those of the food, the vital air, the mind, the intellect and bliss. Enveloped in them, it forgets its real nature and becomes subject to transmigration. The gross body which is the product of the quintuplicated elements is known as the food sheath. That portion of the subtle body which is composed of the five vital airs and the five organs of action, and which is the effect of the rajas aspect of Prakriti is called the vital sheath. The doubting mind and the five sensory organs, which are the effect of Sattva, make up the mind sheath. The determining intellect and the sensory organs make up the intellect sheath. The impure Sattva which is in the causal body, along with joy and other Vrittis (mental modifications), is called the bliss sheath. Due to identification with the different sheaths, the Self assumes their respective natures. By differentiating the Self from the five sheaths through the method of distinguishing between the variable and the invariable, one can draw out one’s own Self from the five sheaths and attain the supreme Brahman. Accordingly, I have collected together a number of quotations that support the contention that only knowledge (and not action or samAdhi etc.) produces enlightenment; that ‘enlightenment’ is nothing other than Self-knowledge arising in the mind; and that the mind continues after enlightenment. These quotations demonstrate that those readers who have been criticising Swami Dayananda and his followers have been doing so unjustly. “(Similarly) the same Self, which is in reality beyond all changes of state, is called ‘enlightened’ on account of discriminative knowledge separating the Self from the not-self, even though such knowledge is only a modification of the mind and illusory in character (and implies no real change of state). “Moreover that monk (i.e. man of realization) is then called a man of steady wisdom; when his mind is unperturbed; when his mind is unperturbed by the sorrows that come on the physical or other planes; …and has gone beyond attachment, fear and anger. Q: Based on your own search and discoveries over all of these years, and the writing of all of the books and blogs, if you had to summarize all of this, the truth of life, what would you say? The form does not matter – it is the substance that is important. Q: How do we know that energy/matter is Consciousness and not just what it is as energy/matter? And why does it matter? Can’t Consciousness just be what it is by itself and simply aware? A: Energy and matter are both objects of experience. They are transient and finite, changing one into the other and ultimately ending in Absolute zero. Consciousness is the non-dual, unchanging, eternal and infinite reality. It does not matter from the standpoint of absolute reality. It does not even matter to most jIva-s, since they just get on with the usual pleasure-seeking aims. It matters to one who is seeking Self-knowledge. 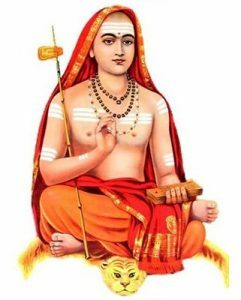 Shankara spells out the most Direct Path method of Self-realization on a here and now basis in his short treatise, aparokShAnubhUti. 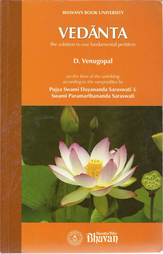 He explains very lucidly in simple words, through the 144 verses of this text, the means to have the direct experience of brahman. He boldly declares right up front the unreality of the three entities, jIva-jagat-Ishwara, the model commonly used in teaching Advaita. He avers that ‘action’ (karma) or worship (upAsana) cannot deliver liberation. However, he says an intense yearning for liberation (mumukshatva) has to be present in a seeker. 1) How is one’s self related to other selves. Part 49 explains how the mahAvAkya ‘tat tvam asi‘ produces knowledge of brahman via the akhaNDAkAra vRRitti in the mind. This knowledge or question is one modern philosophers, psychologists, educators, and people in general are, to my knowledge, not interested in. X As I remember, Plato spoke of the few that escaped into the bright light of day, becoming (at least temporarily) blinded. That, by itself, has a metaphorical meaning. But if the question is rhetorical, the answer is a conditional ‘Yes’ – that is, by leading the life of a philosopher (‘lover of wisdom’), i.e. following the path of philosophy. That is a lifelong process or journey, in Plato’s terms. Y Plato mistakenly thought we could get a Truth by purely mental means and a priori principles. Not so. We have to look at, touch, feel, smell, taste and handle reality. X Sorry to disagree. First, we don’t know what were his oral doctrines to selected disciples (the 7th letter says something in that regard, while undervaluing the written word). Second, his ontology was non-dualist rather than a scalar one: all the lower steps or stages being incorporated step-wise in the higher ones, till getting to the Good as a first principle (supreme arché) – each step or degree of being, a reflection of the one above, exactly the same as with the five koshas or sheaths of Advaita Vedanta, except that here each kosha is within the previous one and thus becoming subtler and subtler. 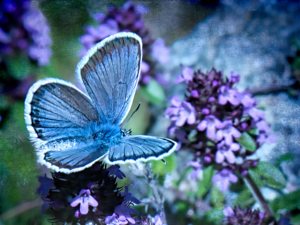 This would result in contemplation of a unity or oneness – one reality. When Socrates spoke of Diotima, his mentor, he did so reverently, signifying or suggesting something sacred – a spiritual transmission (one might google: Plato’s secret doctrines). Q: Is there a logical proof that all souls are multiple personalities of the same self, and of what therefore to do? A (Dennis): ‘No’ is the simple answer. If there were, scientists would not still be looking for the origin of consciousness in the brain! It is rather that there exists a body of knowledge from those who have realized that this is how it is. ‘Teachers’ draw on this, together with their own experience, to explain things to seekers until such time as they realize the truth for themselves. To one who has been through this process, there is no problem in understanding that this is perfectly acceptable. To one who has not, however, it seems quite unacceptable and not really any different from the ‘faith’ of religions. Incidentally, the phrasing of your question indicates that you do not appreciate the ‘bottom line’ message of Advaita. There are no individual ‘souls’ or ‘personalities’ and nothing to ‘do’ in reality. There is only the Self – and you are That (already). You just do not realize this. I.e. all that needs to happen is to remove the ignorance that is preventing you from seeing what is already the case. 1. Are both assertions true? 2. My understanding (based on both being true) is that you cannot experience brahman directly, but you are always experiencing it indirectly via vyavahara/mithya objects. Very much like Plato’s cave and Kant’s phenomena/numina, you experience shadows/phenomena … not the dinge-an-sich/numina which casts the shadows.